Meet the weapon of choice for big boost. The LQ4 and LQ9 are Gen. III, 6.0L, iron block, truck engines. The LQ4 served in anything from bread-vans and boats to SUV’s between 1999 and ’07. It started off life like any normal truck engine. Iron heads, small cam and the old SBC crank rear flange thickness. That changed in 2001 when GM threw in the bigger cam and aluminum heads designed for the LQ9. The LQ9 was introduced in 2002 for the Cadillac Escalade and was found in top-of-the-line trucks until 2007. It cranked out 345 horsepower, had 10.1:1 compression, and had other nice features like full-floating pistons. These engines start life in trucks, but there’s just as much of a chance that you’ll spot them under the hood of a turbocharged drag car. Because of their strength, these engines are likely to see a power-adder sooner than later. With iron block strength, they are the first choice for boost or nitrous applications. GM made a bazillion of them which helps keep prices down. Gen. 3 engines didn’t have AFM (Active Fuel Management) or VVT (Variable Valve Timing), so you don’t have the expense of an AFM or VVT delete kit. The heads flow similarly to LS6 heads, but have bigger chambers making them boost friendly. Displacement—364 cubic inches to be exact. Do they have a downside? Just one. At 216 pounds, the block is 100 lbs. heavier than the aluminum LS1 block. Trucks are the everyday hotrods of the 21st century. For a lot of people, it starts off with a cold air intake and aftermarket exhaust. The problem is that the engine starts to sound REALLY good and owners find themselves wanting to go faster. Trucks often come with mechanical fans that sap horsepower. An electric fan kit will free up the power. All these can be done in the garage, but the tune won’t be optimized. At this point, we recommend you talk to your chassis dyno tuner and decide on a computer programmer. Whether you’re towing on low-octane or springing for good fuel, a tuner can dial the ECM and take it to the next level. It also makes it easier tune for a bigger cam and injectors later on. Before you go, make sure to install a colder thermostat to open up the tuning window. Below are more upgrades that will improve the performance of the LQ4 and LQ9 engines. 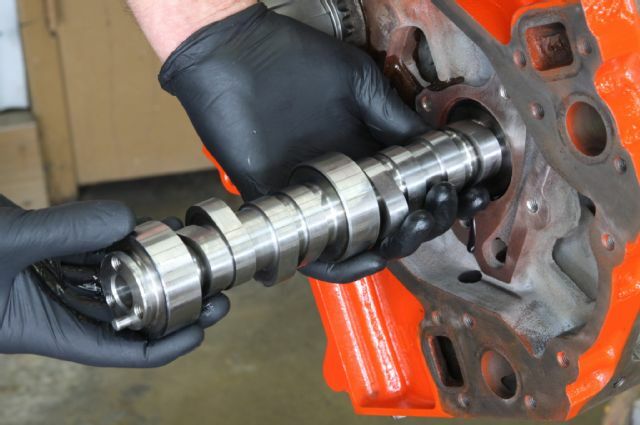 Regardless of whether you add a power-adder, the original camshaft is small and should be jettisoned immediately. An LS3 or LS9 cam makes good power, but not where you want it. What you need is a cam that delivers a gut-punch right where the converter hits. We recommend a dedicated truck cam. 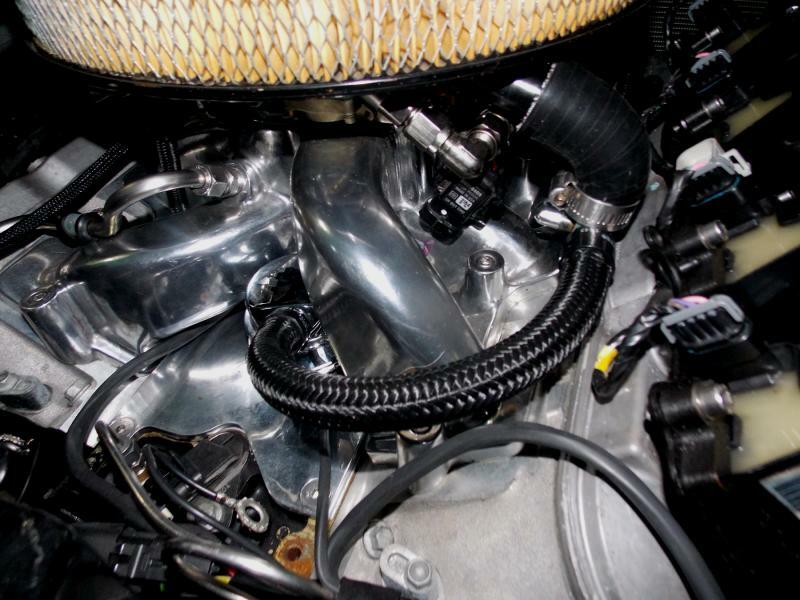 To maximize torque in the mid-range, manufactures close the intake valve at about 40 degrees (@.050 in.) after bottom dead center and alter the intake valve opening to set the idle quality. The bigger the engine, the smoother it will idle for any given cam, which is why you’ll see the 6.0L LQ4 and LQ9 engines getting slightly bigger cams than the 5.3L engines. 197° (Stock) 250-270 whp Smooth Heavy drivetrain. Drop-in .500 in. lift cams are popular, but LS6 springs allow you to run .550 in. lift and extend the rpm range. Spring life isn’t a problem because trucks generally don’t spend a lot of time at high rpm. Beyond that, .575 to .600 in. isn’t a problem with dual valve springs. There are a few other parts needed for a LQ4/LQ9 cam swap such as an LS2 timing chain, LS7 spec lifters, LS2 timing chain damper and adapter, and .080 in. wall pushrods. Any power will put you well past the limitations of the stock injectors and pump. We’ll address those in the next section. Okay, with that out of the way, let’s get to the fun stuff. A nitrous oxide kit (at low settings) is great for street driving with stock internals. Up to a 200 shot is common. Keep in mind the tight piston ring-gap is the limiting factor beyond that. If you’re wanting to get serious, a single plane intake is less prone to break from a nitrous backfire. A plate system has better distribution than the original intake, but an eight-nozzle fogger system is even better. Running higher octane fuel is advised. Truck engine bays make fitting turbos easy. 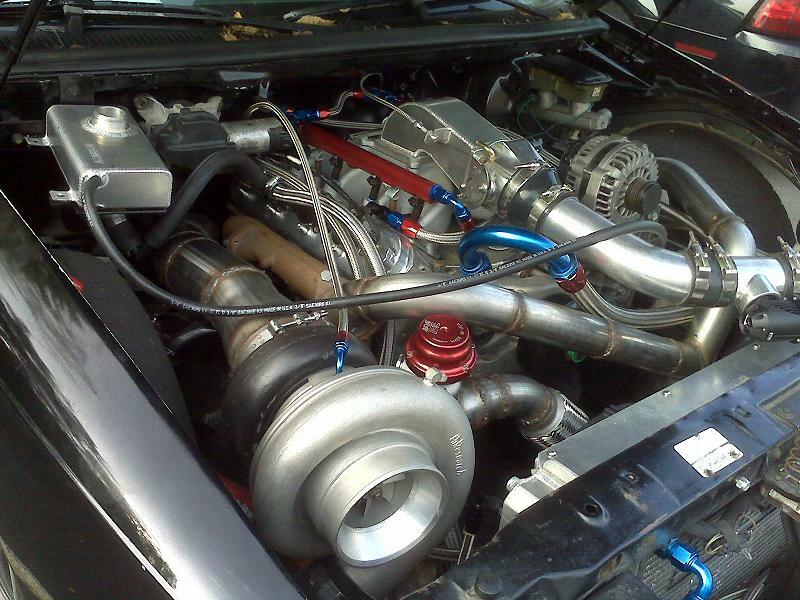 Single turbo systems using turbo exhaust manifolds are an inexpensive way to make big power. If you’re running a single turbo, the T4 hot-side fits well, but the small turbine diameters limit exhaust flow. The 650whp begins to feel like 400 did in a hurry, so take this into consideration. V-band style exhaust housings open up the turbine options and make plumbing easier. Although twins are a little more expensive out of the box, you’ll have more room to grow. The factory injectors are only rated at 25 lbs. and won’t support much more than 380 hp. 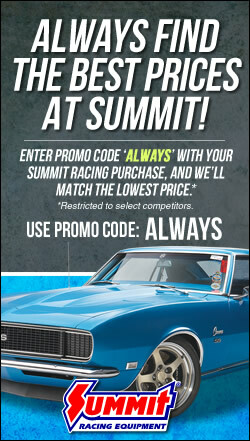 Plan on upgrading to larger fuel injectors to meet the fuel demands of increased power. Custom tuning will be required to properly adjust the fuel and ignition timing. Keep in mind, the best injectors are fully characterized which helps your tuner maximize idle quality etc. The factory pump is good to about 430 whp. Many fuel system upgrade options are available. Drop-in fuel pump modules and external pumps are popular. Other options to maintain or increase pump pressure includes electronic voltage controllers and hotwire kits. 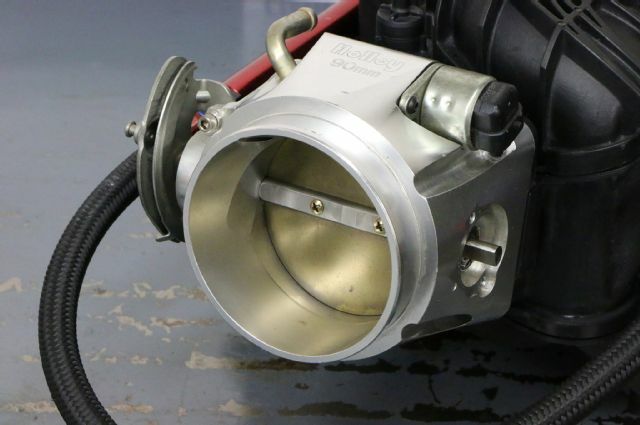 If you have a power adder, the intake and throttle body can take a backseat for a while longer. If you are naturally aspirated though, it’s commonly done before the heads. The factory truck-style manifold has long runners for better low-end torque. Porting the intake is one option and a good value. If you’re looking for more power and torque, the Trailblazer SS intake is a step up and a larger 90mm 4-bolt throttle body can be fitted. The F.A.S.T. LSXRT intake allows a bigger 102mm+ throttle body. Truck engine bays also accommodate Tunnel Rams. These trade a little bit of torque down low for more up high—and nothing looks cooler. Single Plane +10 hp Losses everywhere below 5500 rpm. *Only recommended for nitrous or boost. F.A.S.T. LSXRT +25 hp More low-end and top-end. Tunnel Ram +35 hp Slightly lower below 3000, equal at 4500, and big gains beyond 5500. Ask your tuner about going with a Speed Density tune. Doing so removes the MAF restriction and will give you a bit more power. The stock heads can be CNC ported for more airflow and milled up to .030 in. for more compression. Flow numbers can be as high as 325 cfm at .600 lift. Lightweight hollow stem LS3 valves can be cut to 2.000 in. to fit the seats. Between the light valves and better springs, the engines will pull cleanly to 7000 rpm. 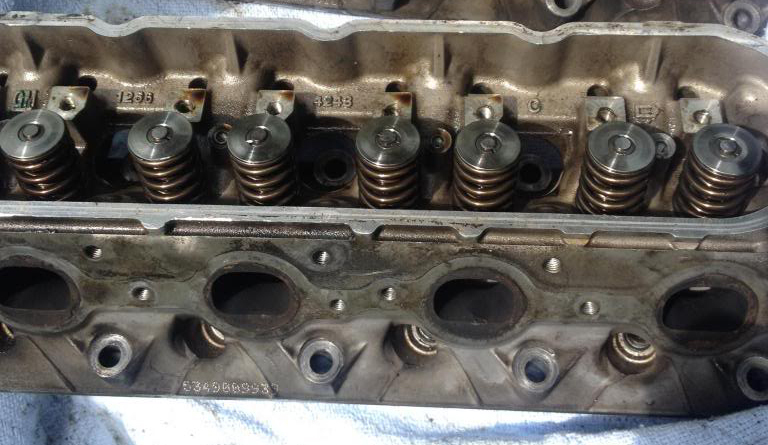 Although LS3 heads fit, the valves are shrouded and the increase in power isn’t what the flow numbers would suggest. You would also need a rectangle port truck intake to retain the torque and clear the accessory drive. A better option is aftermarket cathedral port heads. They reduce down time, they’re all new, and you can usually offset the added cost by selling your original heads. Valve angles are typically laid over to 13.5 degrees and 2.100 in. intake valves are common. They flow great and the cross-sections are great for boost. When comparing heads, look at .400 lift numbers as a general indicator of how the heads will perform. With a medium-sized cam, 450+ whp naturally aspirated is common even with the heavier truck drivetrain. As mentioned before, the pistons are a weak point and you probably know a guy that’s popped one. A set of forged pistons should be high on your priority list. They have stronger wristpins, thicker ring lands, and the added valve reliefs allow you to run big cams. There are exceptions, but Gen. 3 rods start getting dicey around 750 whp and the bolts don’t like much more than 7000 rpm. If you’re getting forged pistons, it’s best to also get forged connecting rods with 7/16 rod bolts. The LQ4 and LQ9 cranks were cast but strong. They’ve been known to handle over 1000 whp. 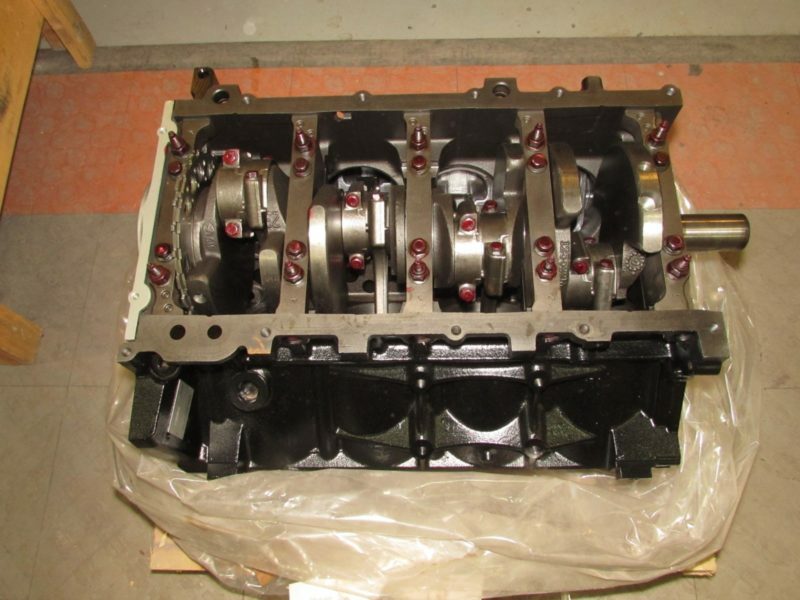 The main reason for going with a stroker forged crank is for the added cubic inches. The extra cubes bring boost on quicker which means you can use bigger turbos. The 6.0L iron blocks had short cylinder sleeves (5.430 in. on average). Much of the piston skirt drops out of the bottom of the cylinder at BDC. The best piston manufacturers have compensated for this by eliminating skirt taper until a point well above where it meets the bottom of the cylinder sleeve at BDC. Any skirt taper at this intersection acts as a razor blade and quickly wears out the piston. 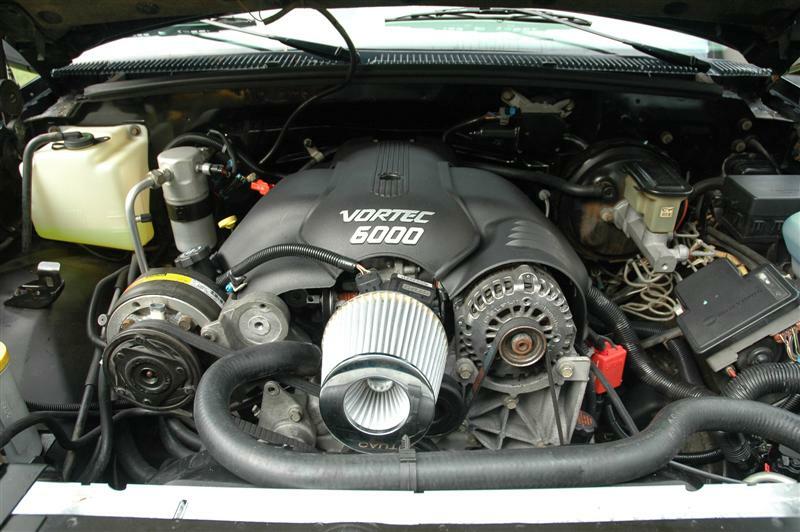 6.0L (364 c.i.d. stock) 4.000 in. 1.338 in. 3.622 in. 6.098 in. .9431-.9449 in. 6.7L (408 c.i.d.) 4.030 in. 1.110 in. 4.000 in. 6.125 in. 0.927 in. There is no replacement for displacement. The cylinders can be safely over-bored 0.030 in. When combined with a 4.000-inch stroke, this will increase c.i.d. to 408 cubic inches or 6.7L. 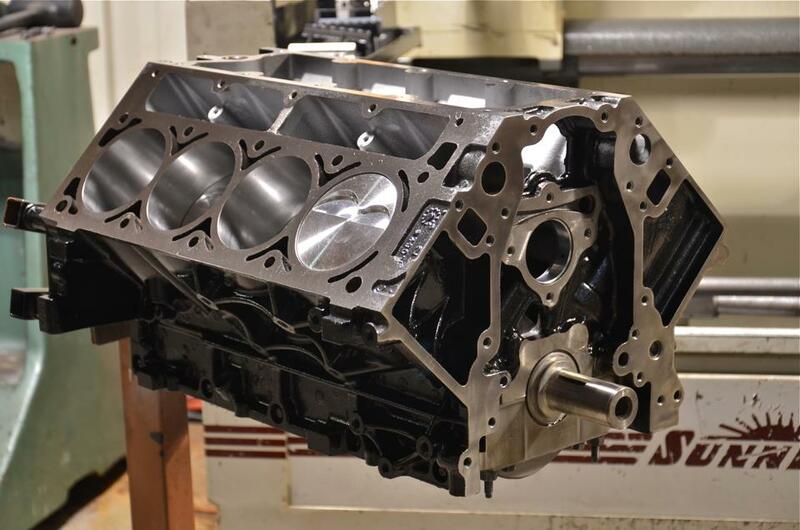 The blocks have been known to withstand 1300 whp with proper machining, racing fuel and an excellent tune. Head and main studs are advised if you’re making more than 850 whp. I have a 6.0 in a 2005 Chevy 2500 HD. The actual manufacturers date reads 10/2004. I would like to know if this engine is a gen 3 or 4? Does it have floating pins and better rods? Either way is nice, but would love to know for fact. As for whether it’s Gen. 3 or not, the cam sensor is behind the intake on a gen. 3 and the knock sensors are in the valley. No plugs on the front cover. Gen. 4’s have a cam sensor on the front cover (and sometimes VVT) and the knock sensors are on the passenger side. I have a 2003 2500HD 6.0, I bought an engine out of 2000 cast iron engine. Will my 03 aluminum heads bolt up? What gasket kit do I use to if I can use heads?